This boat received a very small dent on the bottom left of the hull. 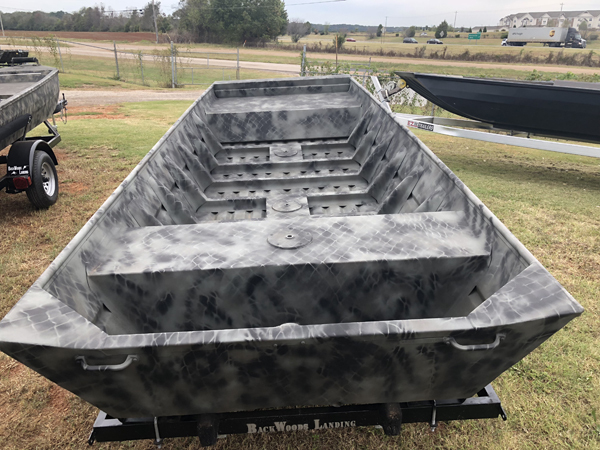 The 1448 flat bottom jon boat is perfect for crappie fishing on small bodies of water. It would make a good duck boat also. A small Copperhead Mud Motor or a 9.8hp Tohatsu or a 20hp Tohatsu would work great with this boat.